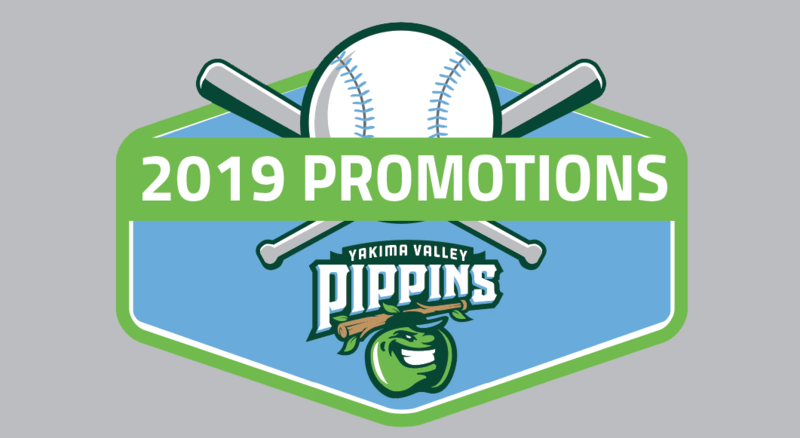 YAKIMA, Wash. – Five fireworks nights, several promotional giveaways and a few new twists are in store for Yakima Valley Pippins fans at The Orchard this summer. As in past years, the Pippins will stage five postgame fireworks displays throughout the 32-game regular season, which begins at Yakima County Stadium on Friday, June 7, and continuing through Sunday, Aug. 11. Opening Night, presented by Legends Casino and Hotel, will feature souvenir water bottle giveaways to the first 1,000 fans. In addition, fans will be able to refill the water bottles with their favorite soft drink at a discount price all summer long, general manager Jeff Garretson said. That’s just one example of added value the Pippins will provide this summer. Other fireworks nights include Celebrate America Night on Wednesday, July 3, presented by Banner Bank, with souvenir red, white and blue Pippins caps for the first 1,000 fans; Celebrate Summer Night on Saturday, June 22, presented by Toyota of Yakima; and Military Appreciation Night on Friday, July 12, presented by Caliber Home Loans. Fan Appreciation Night on Sunday, Aug. 11, presented by the Valley Mall, is the final fireworks night of the regular season. The first 1,000 fans will receive a Astronaut Scott T. Pippin bobblehead, in recognition of the 50th anniversary of the Apollo 11 moon landing in July 1969. Games on fireworks nights will start at 7:05 p.m.; games Monday through Saturday will start at 6:35 p.m.; and Sunday games will start at 6:05 p.m.
Other giveaway nights include Tieton Cider Works Night (sunglasses) on June 13; Yakima Chief Hops Night (drink koozies) on July 10; Perry Tech Trades Night on July 18 (personal cellphone fans). The Mariner Moose returns to The Orchard for Valley Night on Saturday, July 13, presented by Prosser Memorial Health’s Grandview Clinic. A big change is coming on all Sundays, except Fan Appreciation Night. Kids 12 and younger will be admitted free with a paying adult, sponsored by Heritage Bank. Kids also can run around the bases after the game. Midweek value nights also return this year. $2 Tuesdays not only will include $2 hot dogs, $2 regular fountain drinks, $2 small popcorn and $2 ice cream scoops from Baskin Robbins, but also $3.50 pretzels and nachos, and $1 off burgers and brats all game long. Most Wednesdays will be Family Value Nights, with $2 off tickets in all seating sections. Fans also can purchase Family Night Out passes, which include 4 reserved seats, 4 hot dogs, 4 regular sodas, 4 bags of chips and a parking pass for $60 on those nights. The Pippins are changing up Thirsty Thursdays, presented by Yakima Craft Brewing Co. and Stephens Media Group. Twelve-ounce draft beers will cost just $2 before and at the start of the game — but there’s a twist, Garretson said. If the opponents score, beer prices will rise $1 for each run scored, Garretson said, up to standard pricing. But if the Pippins pitching staff throws a shutout, prices will remain at $2 until last call. Additional food and beverage specials and a value menu will be announced soon, Garretson added. Single-game tickets for all 32 home games are on sale at Hunky Shaw’s Team Shop at 12 S. Second St. in the Larson Building in downtown Yakima. Tickets also can be purchased by calling 509-575-4487 or at www.PippinsTickets.com. There is a $1.50 transaction fee per ticket when buying online. 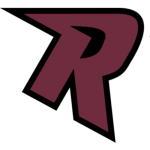 However, through May 31, each ticket purchased online and printed at home will include a $1.50 credit at stadium concession stands, effectively negating the ticketing fee, Garretson said.